From time to time we are able to revisit a former project to update a client's image library with new content. The start of 2011 opened up with such a project for Purina via Colle+McVoy in Palm Springs, CA. We were last out in the area during January of 2009 at the Palm Springs Kennel Club dog show and back to refresh the campaign with some new imagery. As can be expected for the Palm Springs area, the weather cooperated beautifully for Purina's "This Could Be The Year" campaign. Over three days of fierce competition, we photographed 15 different breeds ranging from puppies all the way up to the finalists being evaluated for the coveted honor of, "Best in Show." Dogs at this level show an incredible amount of concentration, obedience, and training. It's quickly evident how much goes into each potential champion after spending time around the dogs, their owners, and handlers. We had a chance to speak with a few "junior" handlers who historically get into the sport as a result of growning up in or around the business. Dog handling is a profession that tends to reach over several generations. Photographing these younger handlers was on Purina's wish list as there are fewer younger people working their way up through the ranks compared to previous generations. By the end of the shoot we noticed our abilities to recognize and differentiate the various breeds had improved as well a sense of what it takes to raise a best in show champion. Thanks to all at Colle + McVoy for another great shoot as well as everyone at Purina for allowing us to get close to the owners, handlers, and dogs during the often intensely competitive moments. 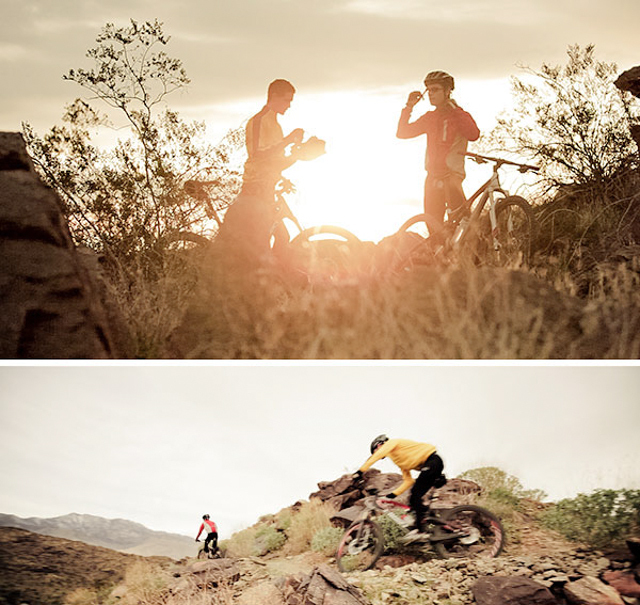 In the "Hills of Gold" blog post from late January, we mentioned that a full motion piece was in the early editing stages- a project featuring two technical mountain bike riders in the hills of Palm Springs, CA. The featured riders rode and donned the latest in both bicycles and equipment from Specialized Bicycle Components. A little over a month later we have received and are excited to share the final edit of this spec motion project from editor Danny Schmidt. Enjoy the debut of the latest JC|P Motion piece here on the blog and watch for it at the motion section of our website in days ahead. Now that the grip of winter is slowly losing its hold and we are firmly rooted in the new year, it seems appropriate to look back at the various projects of 2010. In a year's time, we certainly made a lot of new contacts and reaffirmed established relationships too. It's always interesting to see which project the end of the calendar year rests upon. The final for 2009 finished up with a project for McDonald's which offered some nice work as well as new contacts in the business. The final production for 2010 was for Boston Scientific via OLSON, creating a new library of imagery in several varied environments. Over the course of a 5 day period we spent 2 days at the main Boston Scientific headquarters, 1 day at a local hospital, then two days in studio with our friends at Orbit to finish up the production. Once again, our thanks to a great crew, numerous models, and the folks at OLSON and Boston Scientific for a successful shoot. We have a behind the scenes time-lapse post forthcoming from the two studio days.